Chennai, March 25: Expressing concern over the functioning of public sector banks and appointments to top posts in such banks, union Finance Minister Arun Jaitley has said the government was making efforts to streamline the system. In a statement issued here on Thursday, All India Bank Employees’ Association (AIBEA) general secretary C.H. Venkatachalam said Jaitley expressed his concerns when a union delegation met him in New Delhi on Wednesday. Jaitley also spoke about the need to consolidate banks to protect the weak government banks, said Venkatachalam. 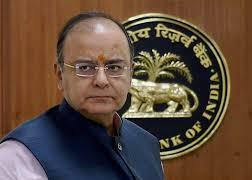 According to an AIBEA statement, the union members drew Jaitley’s attention to the problems faced by the employees in associate banks of State Bank of India (SBI). “We also conveyed our views about the need to delink associate banks from the SBI,” the AIBEA leader said. The five associate banks are State Bank of Mysore, State Bank of Patiala, State Bank of Hyderabad, State Bank of Travancore and State Bank of Bikaner and Jaipur. The AIBEA submitted a memorandum to Jaitley on the issue. On the issue of privatisation of IDBI Bank, the delegation told Jaitley that the main reason for the bank’s problems was its huge bad loans.